In the past few years, it has been noticed that people barely have any idea as per the science and technology behind running a successful construction and building company. We have construction projects sprouting up in biblical proportion and at lightning speed. Hence, the demand for housing and similar construction services is continuously increasing. Building bridges and other similar projects that impact the society positively and make life worthwhile. Irrespective of the scale or size of Construction Company you run, you will find that showcasing your services and capabilities is critical to establishing and sustaining a productive market presence. Thanks to advancement in technology that has completely changed the universal landscape and how we do things. Today, we have the internet, a hub of global activities that has turned the world into a “global village”. With the internet, you can quickly get your message across to a significant fraction of the world’s population. Consideration the large number of the world population that has access to the internet, there is no doubt that you will be in contact with prospective clients and investors. You will expand your coverage by promoting your Construction Company or services to the whole world at a click of a button. However, people (that is construction companies and builders) often find themselves in a fix or limbo as per how to effectively promote their brand and make a profit while exploring this (internet) avenue. You might be pushed to ask why? Well, the answer is not far-fetched. Not every construction company or builder is aware of the role that internet; mainly the website design plays in driving the success of any establishment who has adopted it as a marketing strategy. Why should your business upgrade to a responsive web design? As a construction company or builder, you may need much convincing before opting for a responsive web design. However, in the long run, you would have established a strong online presence that will enable you to get the higher return on your investments. Also, it puts you on par with counterparts and competitions. Not only that, a responsive web design allows you to compete favourably in the global market. A responsive web design plays a very crucial role in helping construction companies, and builders plan, manage, and achieve their goal efficiently. How? A responsive website helps you to provide a desktop or laptop equivalent for customers using phones without compromising on the quality and functions of your website. It is vital that clients visiting your site via phones enjoy the same memorable experience like those using other devices. Google advice users such as construction companies and builders to maintain a standard website alongside a mobile version to be found quickly by bots since they both share the same URL. Hence, construction companies that adopt this approach remain relevant and assessable across several devices with high search ranking and results.Today, there is a significant number of companies that remain glued to static web design on their websites. This stagnation hurts web traffic that leads to sales. If you wish to remain on ahead of your competition, getting a responsive web design is the best option. Like every other business, the commercial success of builders and construction companies is dependent on customers’ satisfaction. One way of guaranteeing such customer satisfaction is utilising a web design that offers minimum wait time on your website. Studies have revealed that web users are likely to leave any website if they cannot gain access to a website’s page within 3 seconds. To avoid leaving bad impressions on clients that visit your site, here is a list of factors to consider after you must have made plans regarding the niche your construction company wants to fill, the target audience and market, and your budget for the project. Their fees; they should get the job done at very competitive and affordable rate or price. Secure and confidential communication process. 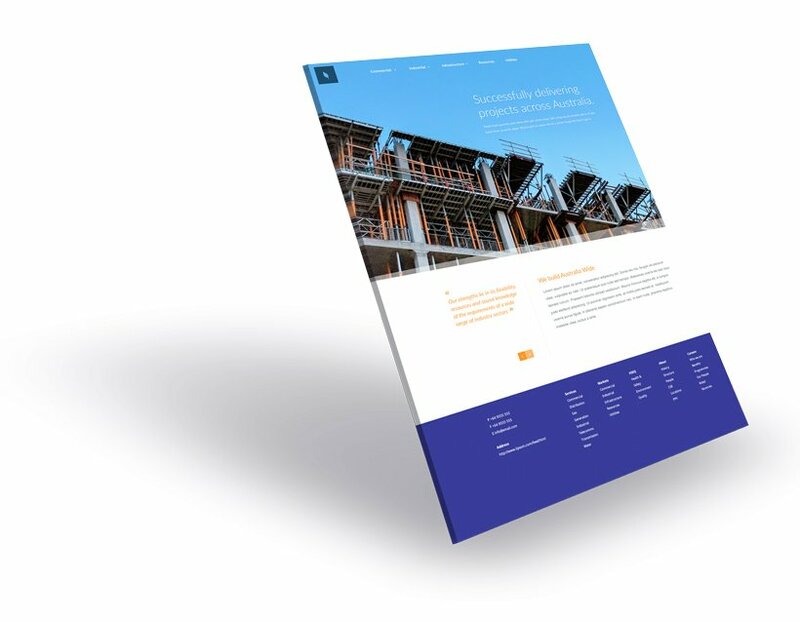 Keen to Design has successfully provided web design services to construction companies in Sydney and across Australia at very affordable rates. We will deliver the best services through a network of a competent and reliable team of web design specialists. So, be assured that your web design project is in capable hands. Contact us now and see why we have maintained an ever-growing list of patronage. We are also available for regular services regardless of the scope and size of your project.